Kurt Gray is an assistant professor at the University of North Carolina, Chapel Hill. He received his BSc from the University of Waterloo and his Ph.D. in social psychology from Harvard University. He studies the mysteries of subjective experience and asks such deep philosophical questions as: Why are humanoid robots creepy? Why do ghosts always have unfinished business? Why do grandma's cookies taste the best? And why do adult film stars seem stupid? 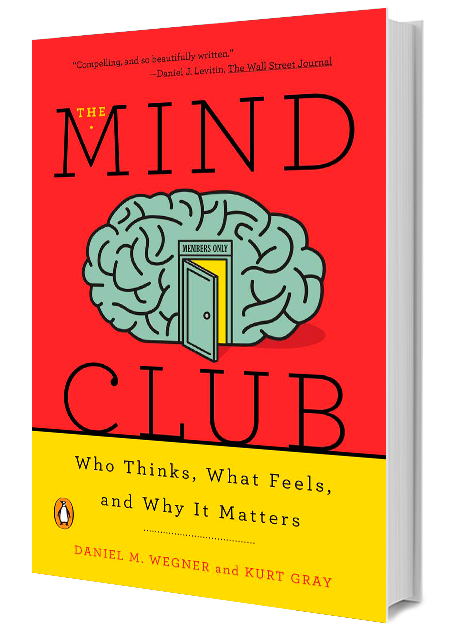 His research suggests that these questions—and many more—are rooted in the phenomenon of mind perception. Mind perception also forms the essence of moral cognition. In science, he likes to wield Occam's razor to defend parsimony, asking whether complex phenomena can be simplified and understood through basic processes. These phenomena include moral judgment, group genesis, and psychopathology. He has been named an APS Rising Star and was awarded the Janet Spence Award for Transformative Early Career Research. He was also given the SPSP Theoretical Innovation Award for the article "Mind Perception Is the Essence of Morality." Sign up for Kurt Gray newsletter, and more.